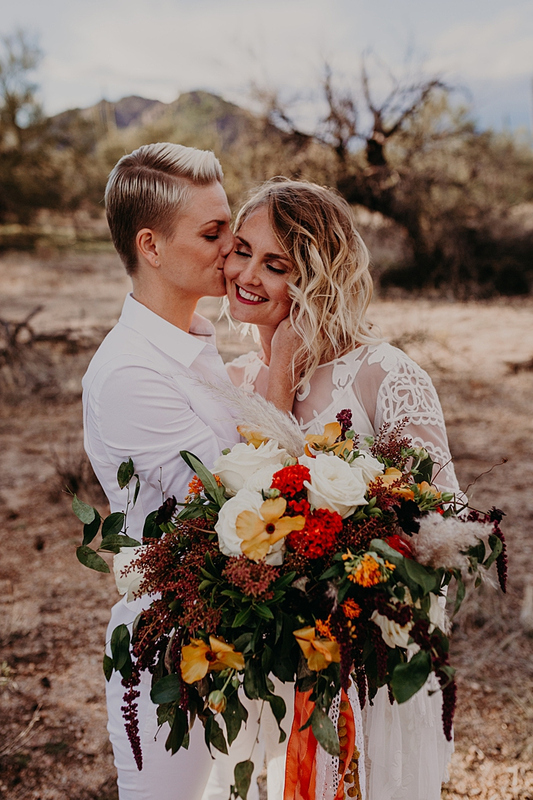 This wedding shoot took place in the Arizona desert, in the dramatic desert landscape in the Phoenix area. 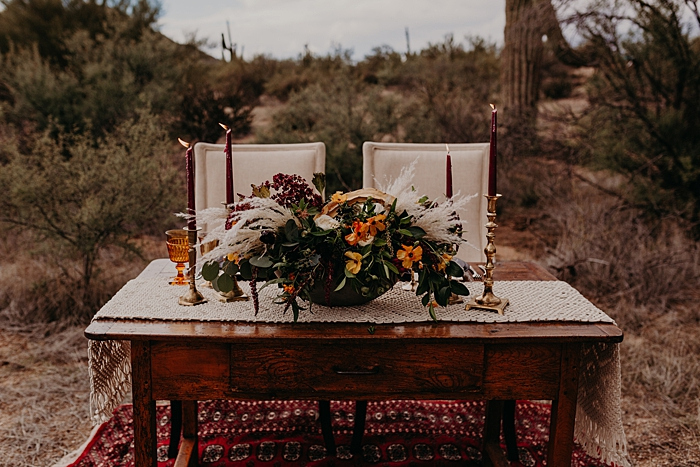 The vibe is free-spirited, whimsical and bold. The darkest storm clouds rolled in just moments before set up began. 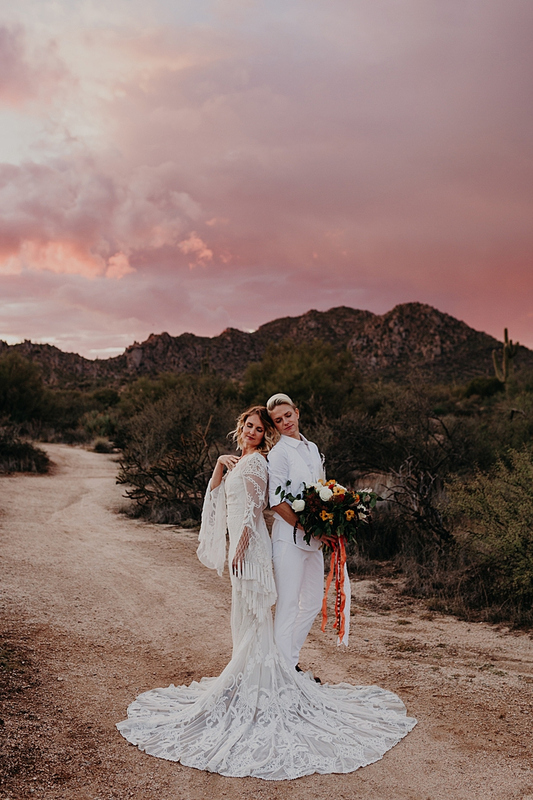 The storm clouds, paired with a desert sunset only Phoenician’s can attest to, created a purple and orange sky. 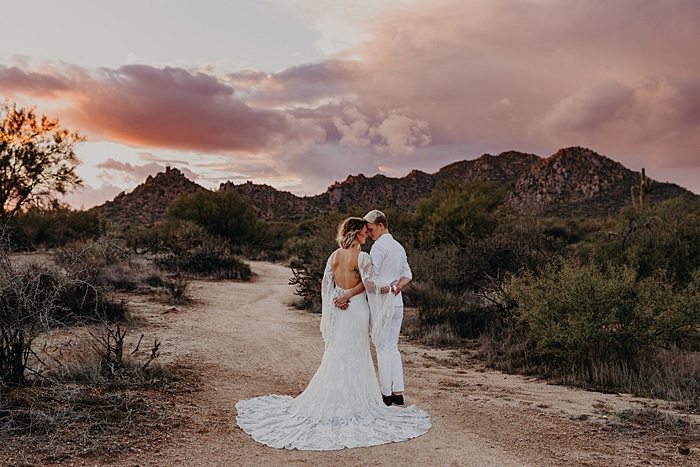 The final images and the colors in the sky aren’t photoshopped, just a rad depiction of what was shot. 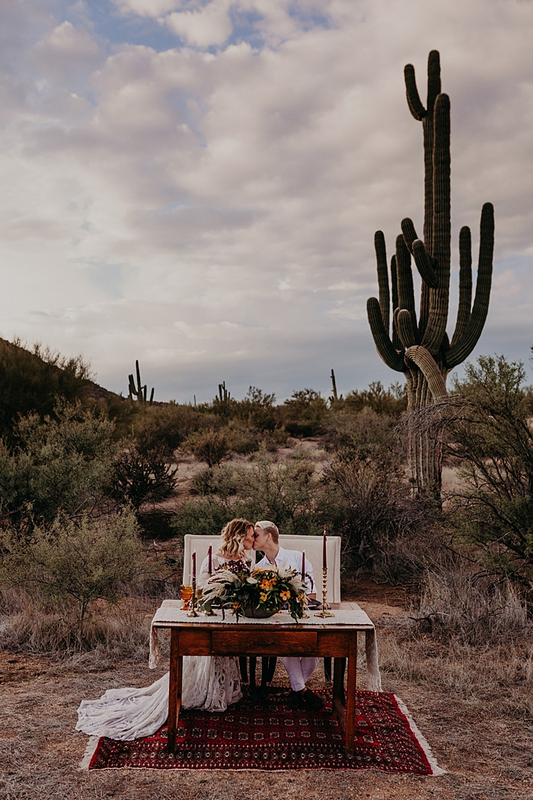 The couple went for a ceremony and reception right in the desert, among the cacti. 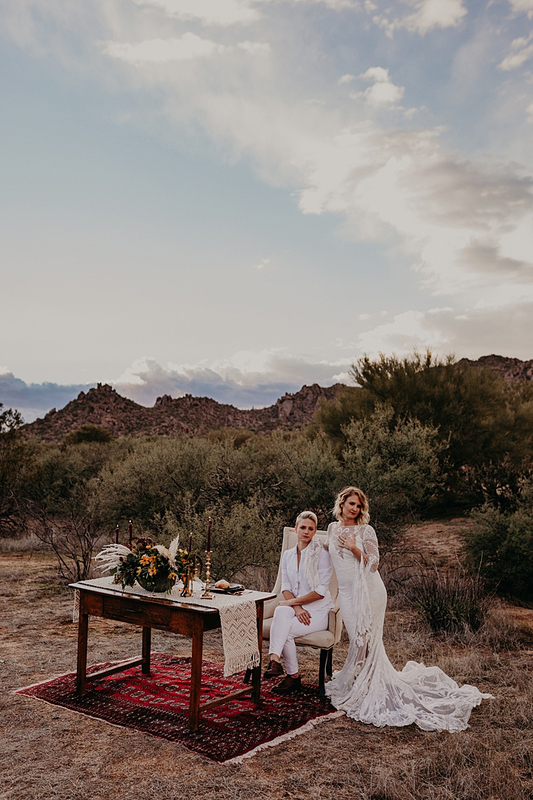 Aesthetically, the stylists opted for a bohemian look with a whimsical twist. 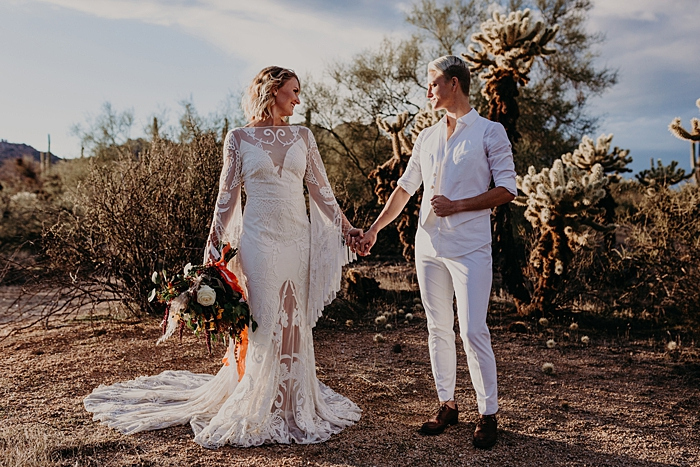 The bouquet had bright colors to contrast the desert background; the dress had fringe for a lighthearted free spirit vibe; the second bride opted for a white suit with a waistcoat and brown shoes. 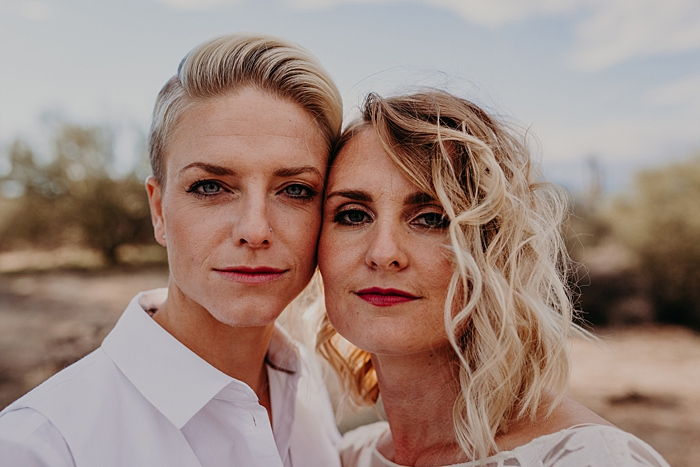 Both brides were rocking cool makeups with a bold lip and a relaxed wavy hairstyle for one of them and a slicked back haircut for the second. 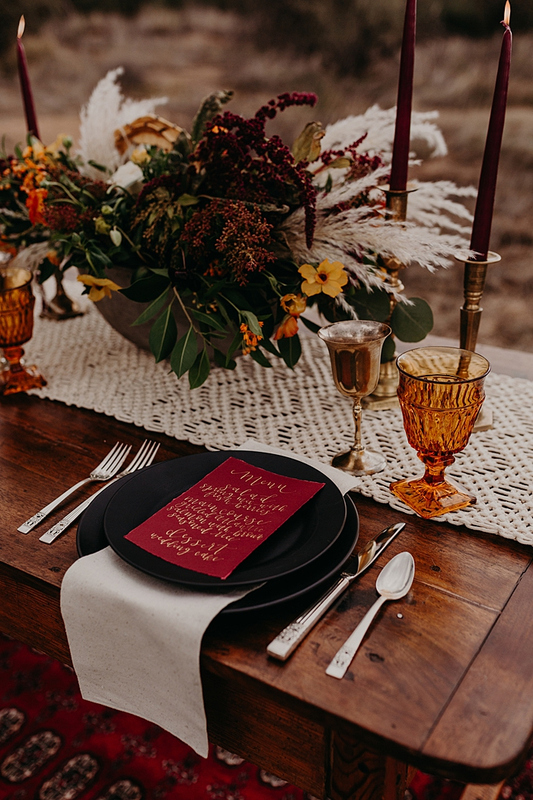 The moody tablescape brought it all together with it’s muted glassware, matte black plates, and gold accents, burgundy candles added chic to the space. It came together more beautifully than the team could have dreamed. 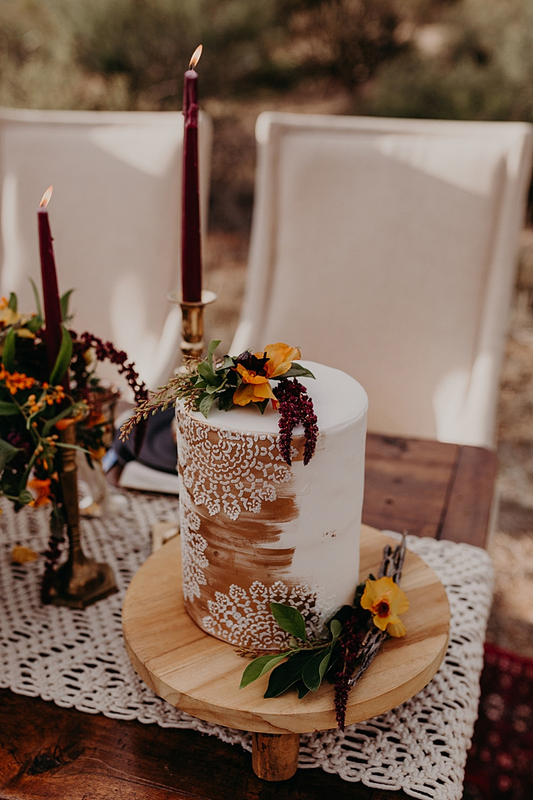 The wedding cake was a neutral one with painted lace, topped with fresh blooms and greenery. 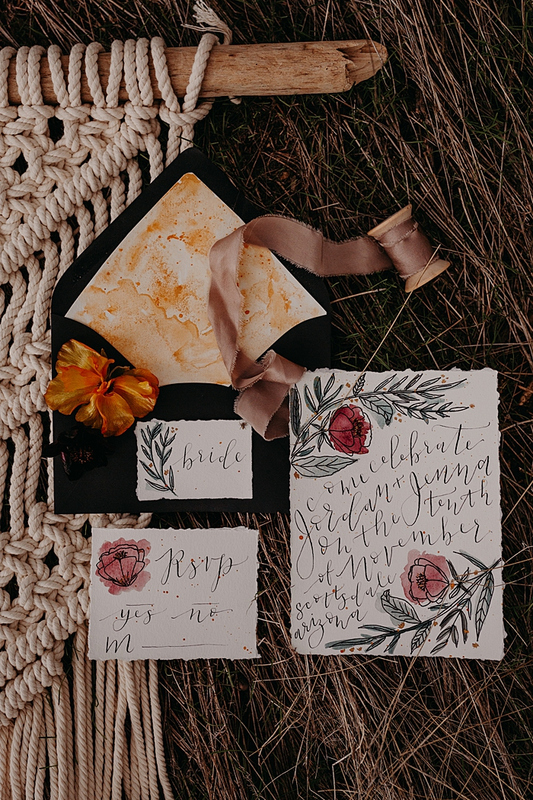 The wedding stationery was done with a raw edge and watercolor blooms plus a black envelope.